Alberto Contador made a name for himself as a pro cyclist. His greatest legacy might actually be his Foundation that develops young riders. TUCSON, Arizona (VN) — On a hot Saturday night, a raucous game-themed college bar is filled with young, fit, European cyclists. They aren’t here to enjoy the extensive beer list, however. They’ve come to the desert for a pro team camp, and they’re at this bar with one of modern cycling’s biggest stars, Alberto Contador. Contador’s Tour de France exploits are well-known to cycling fans, but in the last four years, he’s also created an extensive development program for young cyclists. It has grown by leaps and bounds in just a few years. The program is aimed at nurturing the next generation of riders from grade-school to professional level — all under one roof. The seven-time grand tour winner feels an obligation to give back. 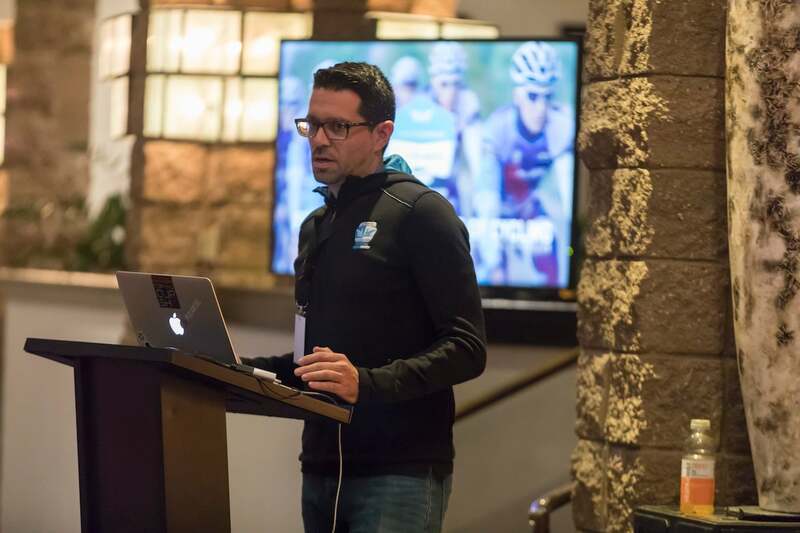 Contador understands the privileged life cycling has given him and has used it to build the Contador Foundation and a new Continental team assembled at this Tucson bar, Polartec-Kometa. Under the banner of the Contador Foundation, there are three development teams — junior, under-23, and Continental — as well as a cycling school and education program in the Madrid area, next to the small town of Pinto, Spain, where the Contador brothers grew up. Contador carefully selected staff for the Foundation, seeking out only those he knows and trusts. Fran Contador, his brother, is the general manager. Ivan Basso, a former competitor turned confidant, manages the Continental team. Another close friend, Jacinto Vidarte, who was Alberto’s longtime personal press officer, runs the communications. The list goes on — a who’s who of influential people that have been by Contador’s side for much of his career. He wants people that will bring added value to the team, whether that is through experiences in cycling or in life. The Foundation’s formula for developing young riders is comprehensive with an in-house pipeline that runs from the school to the professional level. The education program, which has been implemented in Pinto-area schools, is focused on promoting a healthy lifestyle through biking. It also teaches the kids bike safety and mechanics. The program advances as the students grow up. They learn about the different types of bikes at the start of primary school around six years old and advance all the way to learning about mechanics and maintenance by age of 12. Contador’s cycling academy, separate from the school program, also promotes cycling development from an early age. For 150 euros a year, children aged eight to 14 can join the academy in Pinto where they meet two nights a week for cycling practice. The program is focused on fun and enjoyment of cycling but also has a bike racing aspect. The program works to introduce the kids to the sport, giving them the skills necessary for competition. In 2017, the program had over 30 participants. The Contador Foundation launched its racing team in 2013, beginning at the junior level. The expansion to three teams and two school-level programs in merely four years is, to some extent, due to the credibility of the Alberto Contador brand. Thanks to his 15-year pro career, Contador has developed the relationships and prestige necessary to grow a program of this magnitude. His own racing sponsors have trickled down to his Foundation’s teams. For instance, Specialized was a co-title sponsor of the first junior team in 2013 when Contador’s Saxo-Tinkoff team rode Specialized bikes. The under-23 team was created the following year, 2014, allowing the riders that aged out of the junior team to continue their development with the Contador Foundation. For the 2018 season, 38 riders will race under the Foundation’s banner of teams. The new Continental squad is home to 11 of those cyclists, two of whom, Diego Sevilla and Miguel Ballesteros, began their cycling careers with the Contador Foundation as juniors. They are prime examples of the pipeline’s effectiveness. Sevilla was third at the under-23 Spanish road race championships in 2017, arguably one of the hardest espoir nationals in the world. Although the junior and under-23 teams are mostly Spaniards, the Contador brothers plan to internationalize the teams quickly. The Continental team includes only four Spanish riders. The brightest star to come out of the program is Enric Mas, who is one year into a three-year contract with Quick-Step Floors. He rode for the Foundation’s under-23 team from the beginning before stepping up to the WorldTour. However, some might critique Alberto Contador and Basso for their checkered pasts. Basso was banned for two years in 2007 for his involvement in Operacion Puerto. Contador was stripped of his 2010 Tour de France and 2011 Giro d’Italia titles after testing positive for clenbuterol. Both riders returned to competition after their bans and went on to win grand tours. How can these two riders guide along the next generation? The answer is simple. They’re up-front and honest with the riders — no omerta here. At the first team meeting at the Mapei Cycling Center in Italy prior to the Tucson trip, Basso wanted to set the tone immediately. He saw it as a necessity to emphasize what it means to be a person of character and how his mistakes forced him away from one the most joyful aspects of his life — bike racing. He wanted the riders to know the story directly, not from a simple Google search. Basso has four kids of his own, but when he speaks about the riders on the team, he speaks of them as he would his own. His life as a parent shapes his words. He repeatedly talked about ensuring great men — not just cyclists — come from the program. It’s clear Alberto and Basso made mistakes throughout their careers, but they use them as moments to teach. Their dark pasts aren’t just swept under the rug. There is no guarantee these young riders will make it in the world of cycling, despite guidance from some of the best. 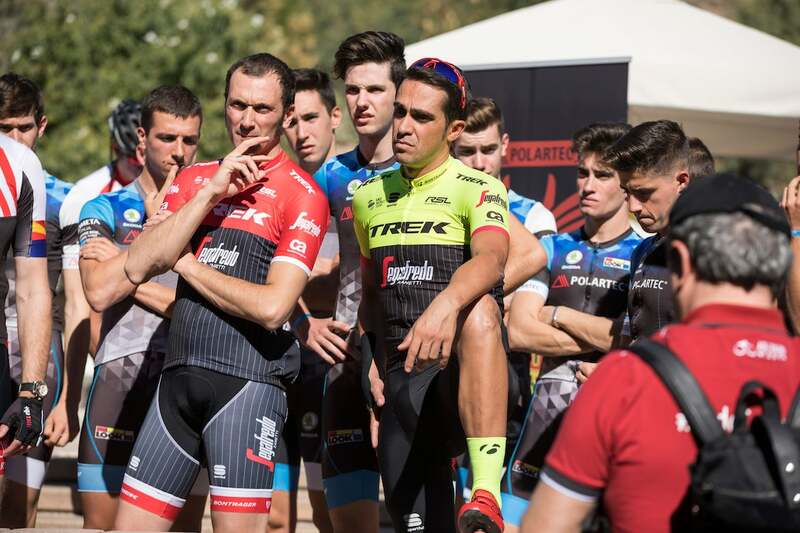 Fran and Alberto Contador know that and make education a priority for the junior riders. “Sometimes the riders at this age make the decision to leave school to try to be professional cyclists,” Fran explains. Alberto was one of the lucky ones. Despite not finishing his education, he found success. Basso, one the other hand, was forced by his parents to finish his schooling before he turned pro. The Contadors, Basso and the other Foundation staff know that few riders will be lucky enough to have successful pro careers like Alberto Contador or Basso did. 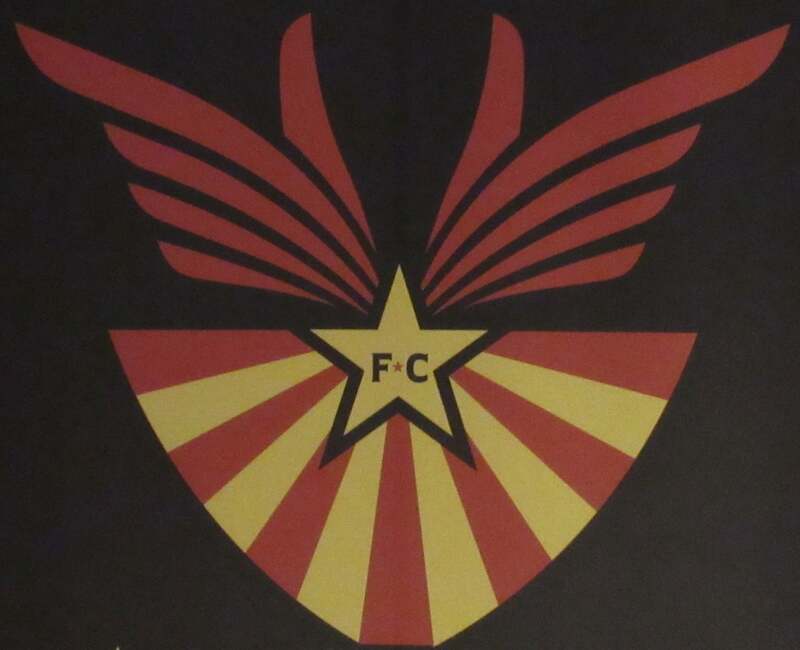 They need a safety net to fall back on. Alberto Contador’s words are held in high regard. When he speaks, conversations cease. Everyone looks at him. He is the father of the program. When he talks, they listen, but that patriarchal approach couldn’t be further from his leadership style. The Contador Foundation may bear his name, but Contador is most comfortable when he is among the riders, helping to shape both their racing development and character.